The drum you have found is 'Feldkabel'. It would have consisted of two cables of copper cored, galvanized steel armoured cable that was rubber coated. Each cable was 400m long, the whole drum would have weighed 45kg when full. The cables were low loop resistance communications wires with a voice range of up to 50kms. The drums were of different sizes and slightly different design depending on what sort of cables (Comms or power) were wound on them. The two separate cable 'runners' in the centre of the spool show that yours is for telephone cable. Some, like yours, would have been mounted on trolleys,vehicles, sleds or even pulled by hand on the tyres that are on the drum.Smaller drums were even mounted as backpacks. I've included a few pic's to show the different types of drums and how they were used. Hope this answers your question, at least in part! You guys amaze me, from some odment or crusty part you can ID it, tell us about its use and produce countless photos of it in use. Nice one gents! Hi... This weekend at the Tankfest (UK) I saw a slightly different version, it is the large size but is unfortunately missing it's tires from around the rim. [QUOTE=Reg;63868]You guys amaze me, from some odment or crusty part you can ID it, tell us about its use and produce countless photos of it in use. Once again Lucky, great photo's!! The two larger drums are for power cables. Note that the lighter one thats on end has a cylindrical device fitted on the top end. This contained what is these days called a 'hook-up', you can find it on all modern caravans or industrial power tool transformers. Here's a pic of one in use in 1941, notice the design appears not to have changed very much, if at all in 70 years. I believe the German artist of the sketch book pictures that I have been posting also sketched one of these being used. 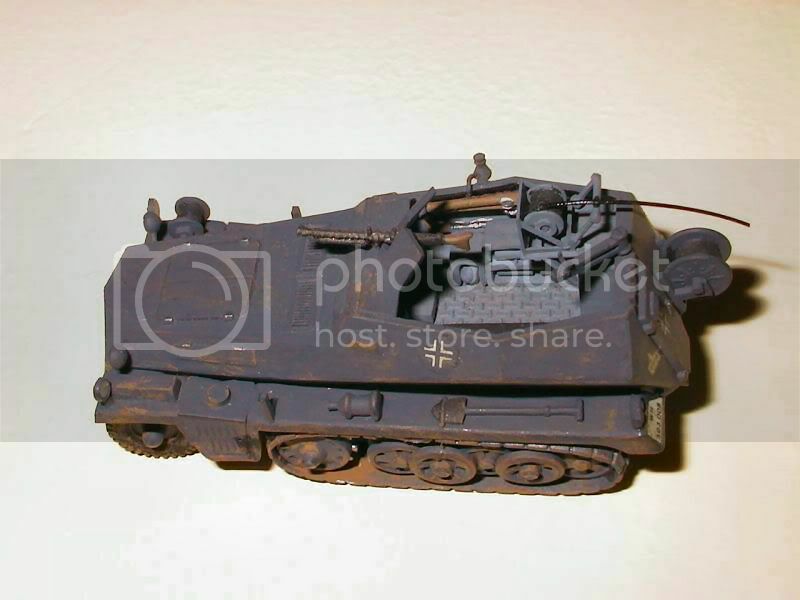 I found a picture of a miniature SdKfz 250/2 Cable layer, with one attached to the back, it's not the same but it looks a lot like it. Where did you find it, i recon at the East-front theatre!